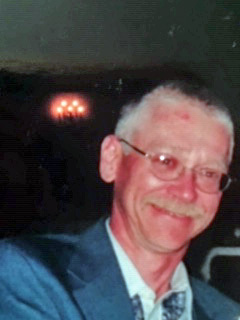 Obituary for Danny L. "Bman" Burrows | Robert L. Snyder Funeral Home and Crematory Inc.
Danny L.”Bman” Burrows, Clarks Mills, (Perry Twp.) passed away of natural causes at his residence on Sunday morning, February 10, 2019, He was 64. He was born in Greenville on August 30, 1954 a son of the late Clifford and Mary (Kashner) Burrows. Danny was a graduate of the Commodore Perry High School Class of 1972. He began his working career as a welder at the former CBI, Greenville, then went onto drive truck for J.T. Adams Trucking and finishing out his career at the White Rock Silica Sand Co., Greenville as a heavy equipment operator and an operator of the scales. He enjoyed farming and had raised beef cattle on the family farm. He was a staunch and avid supporter and fan of the Pittsburgh Steelers. He was a social member of the Pumphouse 45, Hartstown. “Bman” as he was known to his family and friends is survived by two sisters, Judy A. (John) Baldwin, Atlantic and Sally L. Wells, Greenville; 2 nieces, Shelly (Bob) Ogoreuc and their children, Hannah and Jack of Grove City and Susan (Brian) Klaich and their children Olivia and Max of Pittsburgh. It was Danny desire that no services be held. Arrangements have been entrusted to the care and direction of the Robert L. Snyder Funeral Home and Crematory, Inc. 3223 Perry Hwy., Sheakleyville. Memories and condolences may be shared with the family online at snyderfh.com. Memorial tributes may be made to the American Diabetes Association.